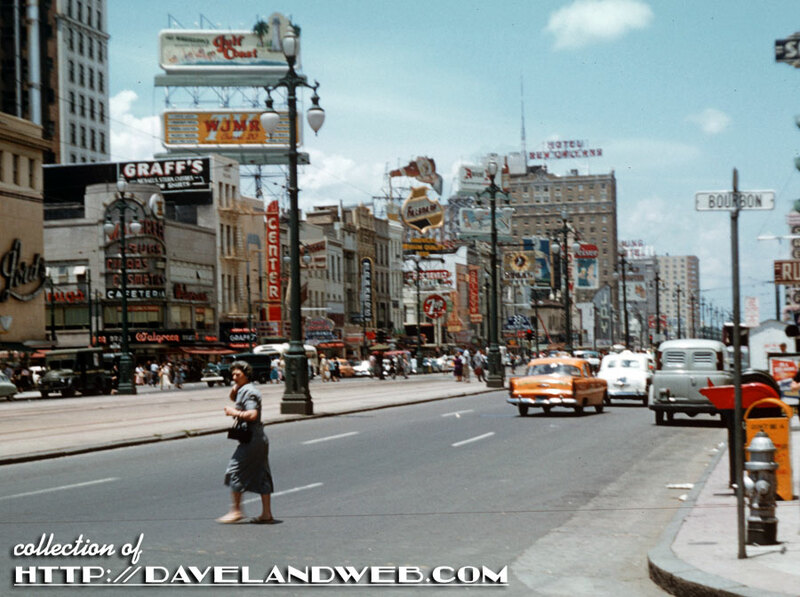 Two vintage views of Canal Street in New Orleans for today. The first one is from July 5, 1957. 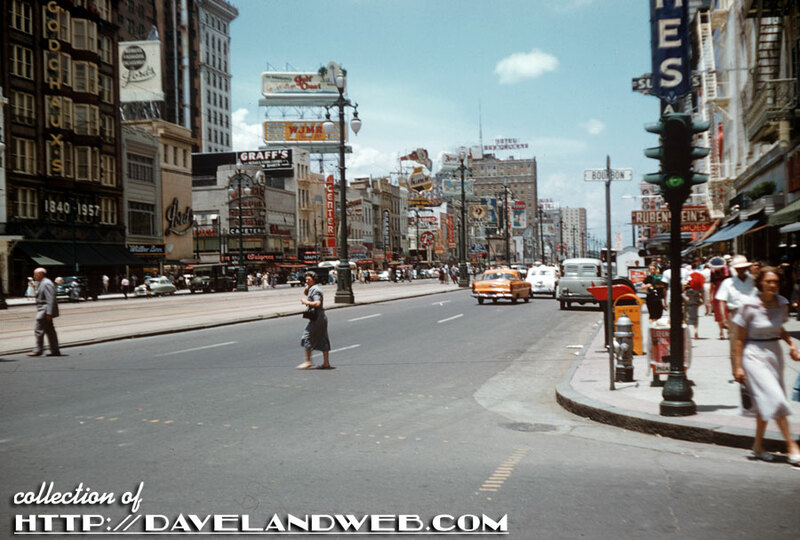 Looks like the photographer was standing at the corner of Canal and Bourbon. Note to self: next time in New Orleans, take the same picture! 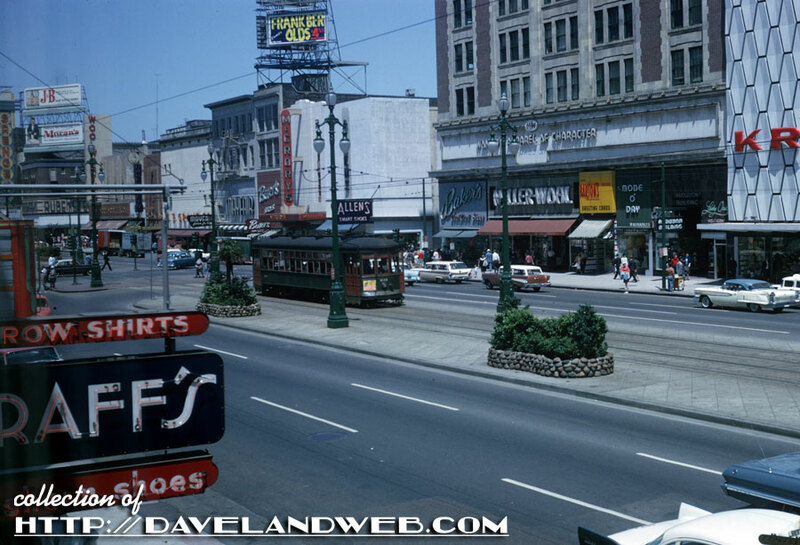 Moving ahead to April 1964, it’s obvious that time has passed with the typical 60’s remodels of some of the storefronts. How about that honeycomb panel overhaul for the building at right? That’s modernization for you! 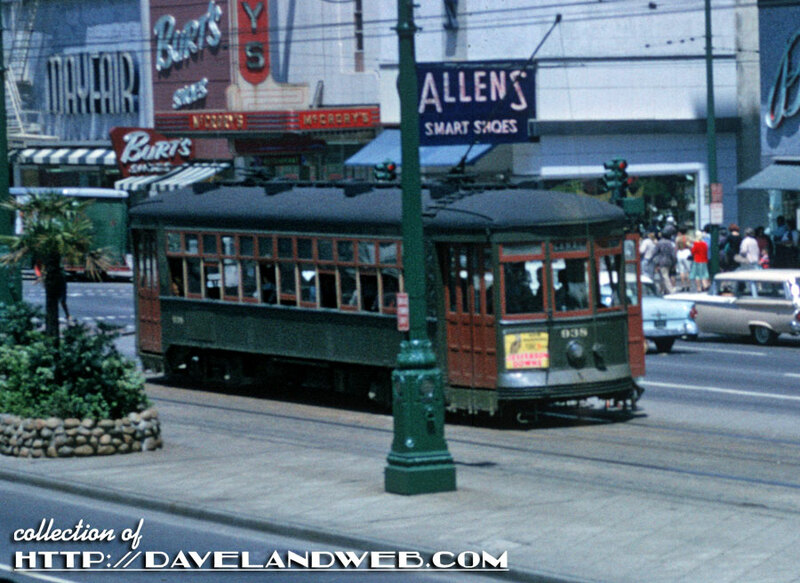 See more New Orleans photos at my main website.